Kids Bright Eyes - Dark Gray Square Frame 39-15-115 by Kids Bright Eyes at Kids Grooming. Hurry! Limited time offer. Offer valid only while supplies last. Parents, relax and be at ease!!! Our frames are nearly indestructible and are extremely flexible. Our brand and line is similar to the Miraflex line. Parents, relax and be at ease!!! Our frames are nearly indestructible and are extremely flexible. Our brand and line is similar to the Miraflex line. No more breakage at the hinge, our glassses are screw-less and bend and nearly any direction. Buy with confidence and be at ease, our glasses tend to last forever!!! 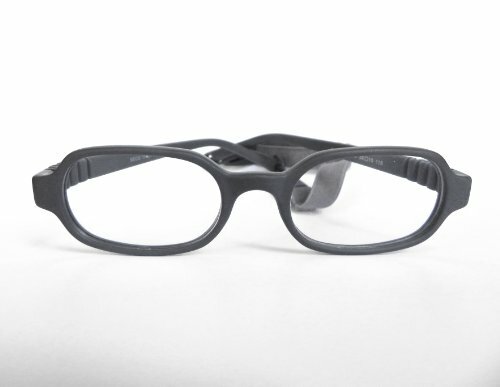 This is a plastic polymer commonly used in the creation of sport and other impact-resistant eyewear frames. It is lightweight, resistant to stress cracking and material fatigue, and stands up well against UV exposure and extreme temperatures. Parents, relax and be at ease!!! Our frames are nearly indestructible and are extremely flexible. Our brand and line is similar to the Miraflex line. No more breakage at the hinge, our glassses are screw-less and bend and nearly any direction. If you have any questions about this product by Kids Bright Eyes, contact us by completing and submitting the form below. If you are looking for a specif part number, please include it with your message. Splendenti Eyewear: Computer Glasses - Blue Light and UV Protection - Digital Eyestrain Prevention - FDA Registered - Kids Model "Superhero"